Joy Luck, show me loove, up in the club! 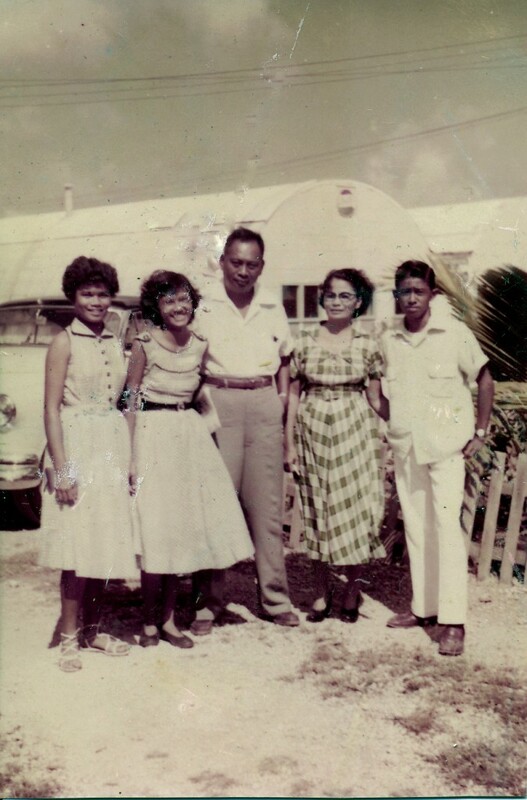 Not long after WWII, my lolo (grandfather) decided to move from Manila to Guam with his wife and 3 kids. He was offered an engineering job there with an American contractor at a time where good jobs were hard to come by, plus he was fed up with Manila cronyism, and wanted to make something of himself on his own terms. After Walla Walla, my mom and Aunt Kaz moved to Portland to complete their nursing degrees. And then, in a reversal of the classic Filipina nurse immigration saga, Mom moved back to Manila, to work in the 7th Day Adventist Hospital there. 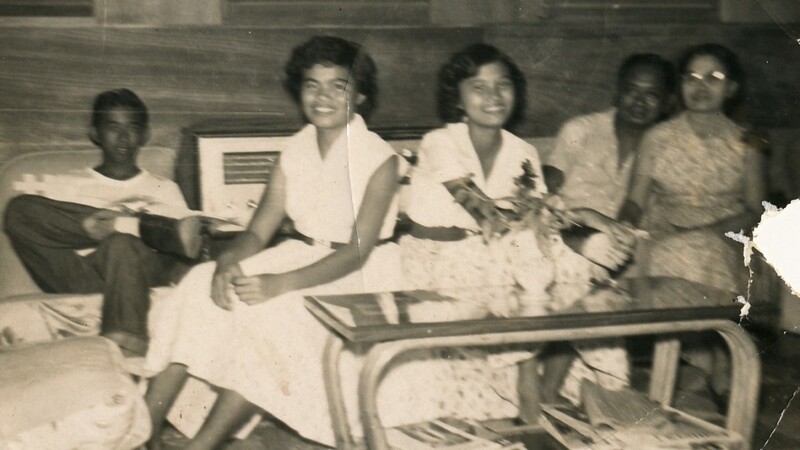 My grandparents had gone back to Manila forÂ awhile as well, so as their unmarried bunso, she was obligated to be with them, since my tito and tita had both married Americans and settled in the US. Eventually, Mom returned to the US, and worked at a San Francisco hospital while living with her sister and her sister’s husband. My lolo died early of a heart attack not long after, leaving my lola alone on Guam: she soon moved to California to live with her children. Residency in Guam qualified everyone in the family for U.S. citizenship once they reached adulthood: my mom became an American citizen soon after she turned 18. 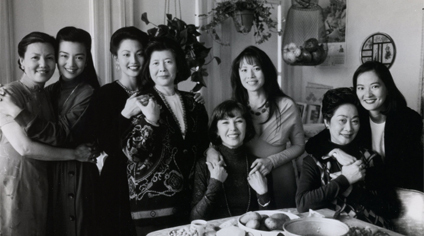 Help us honor and argue with The Joy Luck Club on the 20th Anniversary of its publication AND celebrate API Heritage Month in May! Send us your immigrant story in 300 words or less! 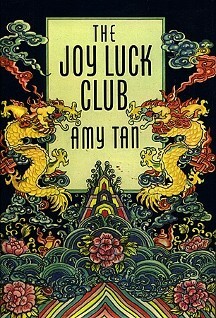 This year is the 20th Anniversary of the publication of The Joy Luck Club, the book that, for better or for worse, defined Asian America to a generation of readers, and opened up mainstream American fiction to Asian immigrant stories. (I celebrated its 15th in an essay in Issue 4.) I say “for better or for worse” because, although it was wonderful for people of my generation — who were reaching adulthood just as Joy Luck was hitting the bookstores — to finally see Asian immigrant families in fiction, the book also limited a generation of writers to a particular narrative. We don’t all suffer an immigrant generation gap with our parents; many of us are 1.5s, and many of us are 3rd generation or deeper; many of our parents are culturally competent in the US; most of us didn’t grow up in Chinatowns. Half of us aren’t women; we aren’t all Chinese … or Japanese, or Korean; our cultures of origin don’t always center around cooking rice, or mahjong games in the kitchen, or the insulting mistakes our white boyfriends make at the dinner table; the racism we experience isn’t always the blatant kind. So, for a book that didn’t intend to cause all the controversy or inspire all the ambivalence it has, I can’t think of a better way to honor its birthday than to talk back. For May, Asian and Pacific Islander Heritage Month, let’s tell more stories … stories that aren’t like The Joy Luck Club at all. I’m declaring a blog carnival of short, personal Asian American immigrant narratives. These will be YOUR families’ immigration stories in 300 words or less. Very short, so don’t try to tell the whole thing. Pick out one important anecdote or detail that you think is unusual. What about your family’s immigration experience is unusual, not like the stereotypes? Did your family immigrate all at once, or over several generations, and just to the US, or elsewhere? Did anyone go back? Did your forebear/s have a goal in immigrating? Do you think this was their only purpose? Did something funny or strange or sad happen when they got here? Has your family been here so long you’ve forgotten the immigrant experience? Tell us another story, then! We’re looking for a diversity of stories: East Asian, Southeast Asian, South Asian, Central Asian, North Asian, women, men, transgendered people, all ages and generations, all regions of the States (and we’ll fudge “American” if you’re not from the States or even from North America), all kinds of stories, all ways of telling them. Write your immigrant story of 300 words or less. Post it to your blog or somebody’s blog. Post the URL in comments below, or send me the URL at claire (at the domain) hyphenmagazine (with a dot) com. Please put “Joy Luck Hub submission” in the subject line. Depending on a number of factors, we might reprint a few here on Hyphen Blog (with permission). Or we might not. and PLEASE FORWARD THIS CALL for submissions to your Asian American friends! 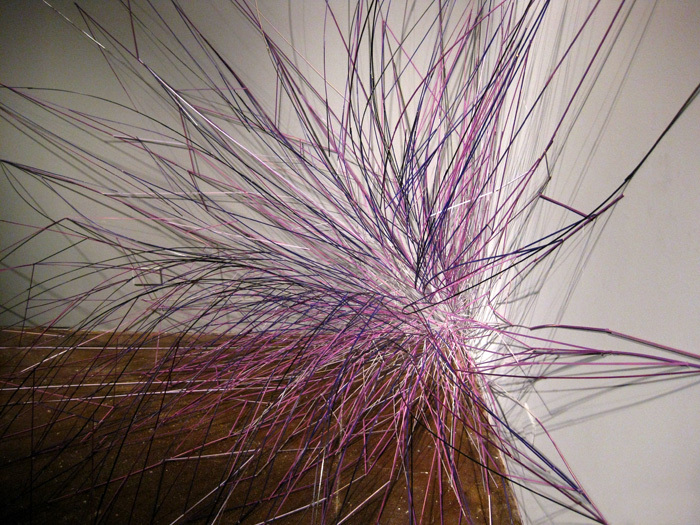 Renee Gertler at blankspace gallery=yes! Tekniq at Marx & Zavattero=yes! Ooh, that’s a lot of yessing going on. So. First things first: if you haven’t gotten a chance to see Modality Room, Renee Gertler‘s solo show at blankspace gallery in Oakland, get on it! It’s only on until April 27. I got turned on to Renee’s work by Christine Wong Yap a couple of years ago: it’s smart, funny, imaginative, and ethereal. 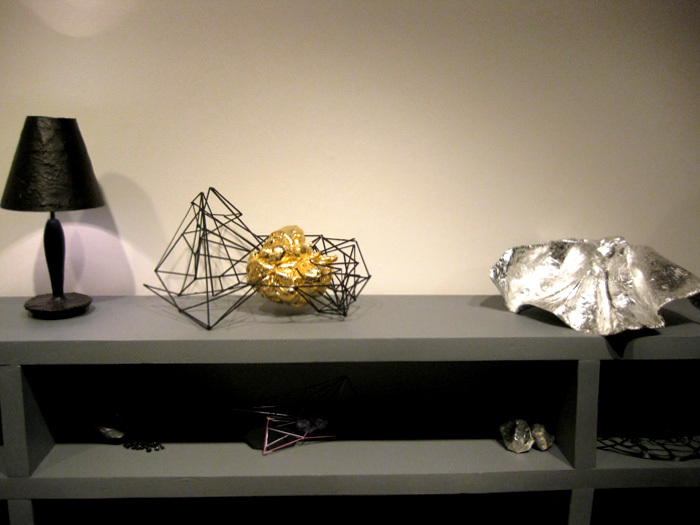 And, as with much sculpture, it doesn’t translate well in photography (at least not my crappy pictures taken opening night–Renee’s pics on her website do much better). The few times I’ve been lucky enough to see Renee’s work in person, I’ve fallen in love with it. Next on the YES list is ARTERI, a fantastic new website/blog focused almost entirely on one of my favorite combo platters: contemporary art, Malaysia, and Southeast Asia. Since some of my favorite foods are nasi lemakÂ and halo-halo, it would only stand to reason that this mix-mix is right up my alley, too. My friend SimonÂ is one of the creators of the site, and has invited me to post something on it, so perhaps I’ll get to participate on it as well (and nooo, that’s not why I think it’s awesome. Go check it out. You’ll see for yourself. It’s like the SEAsian sister to the Bay Area’s own Stretcher). And then there’s everyone’s favorite local/peripatetic space, Southern Exposure, staggering around the Mission from location to location these last few years. 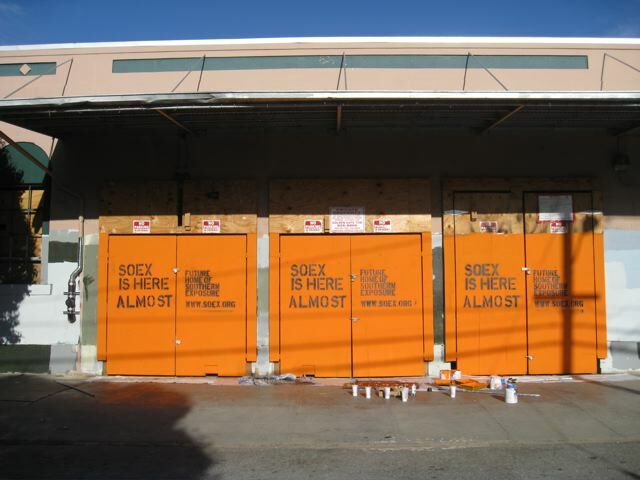 At long last, SoEx will be moving back in to permanent quarters over near the old Alabama Street ‘hood, sometime later this summer! YES. Staff and board have been working like demons to make sure that SoEx isn’t going anywhere for a long, long while, which given all the instability in the air these days, is truly comforting/delightful to hear. Lastly, a big YES to Justin Hoover for organizing “Girls On Film“, a video screening at Ping Pong Space in Guangzhou, China, this Sunday! 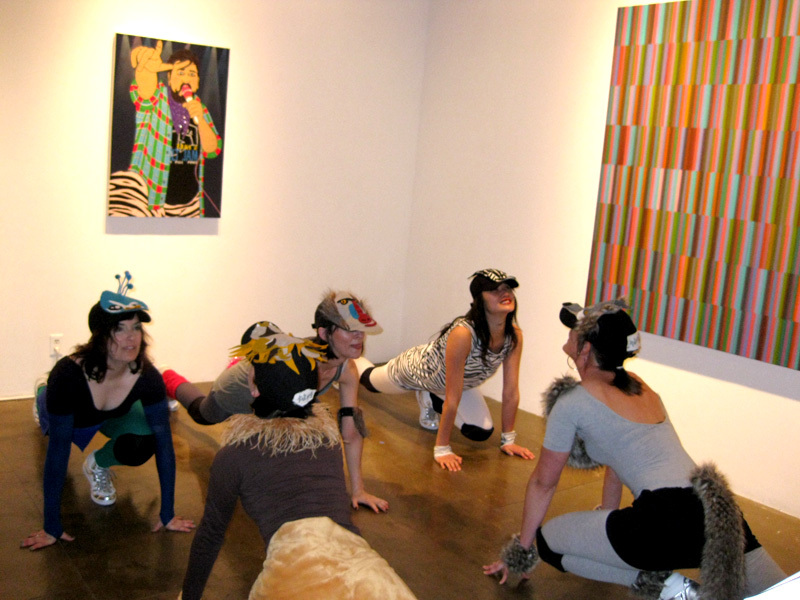 Justin was kind/delusional enough to include Woffords, Paint in the screening. 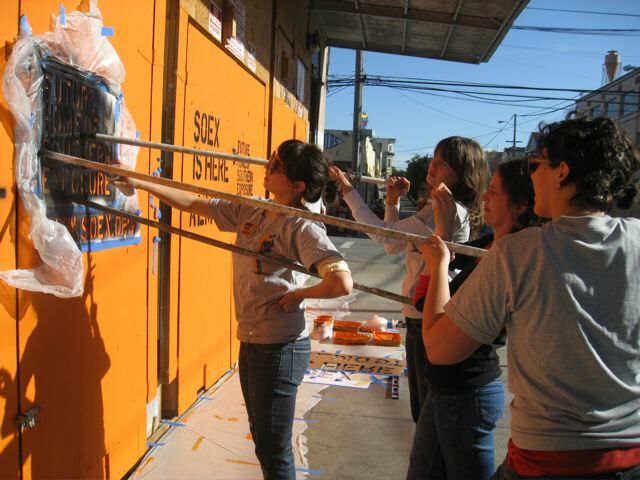 (Because that’s what Guangzhou needs to see on Easter Sunday: Woffords making jackasses of themselves, eating paint.) 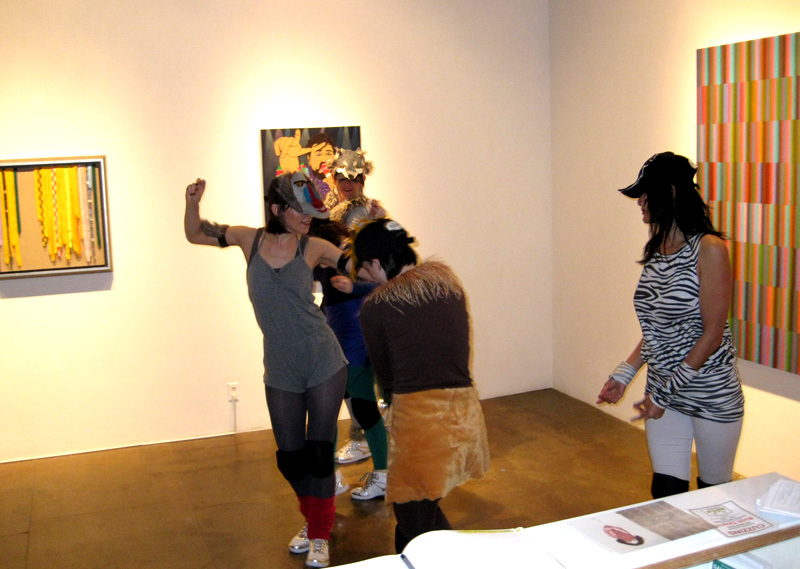 The screening features works by Lucy Kalyani Lin, Gina Osterloh, Margaret Tedesco, and a number of other California artists. That’s a suspicious amount of affirmation for one post. Maybe I should do a NONONONONO post, next. 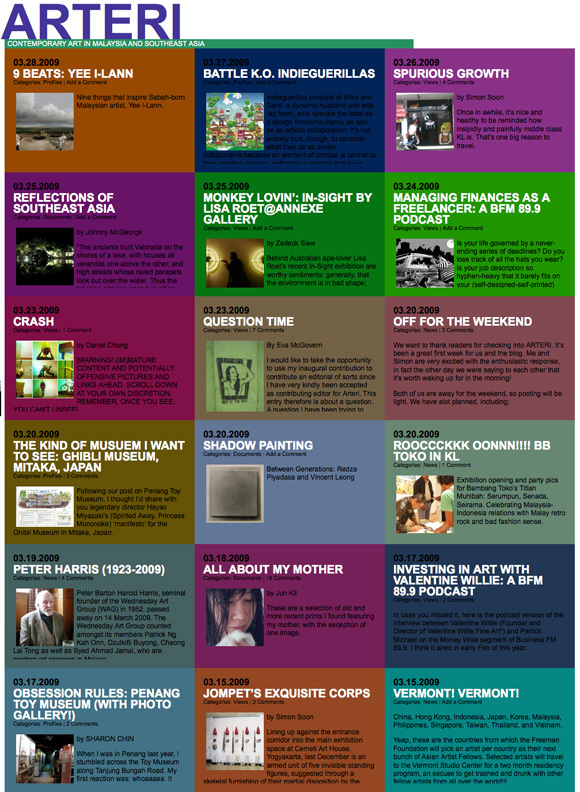 You are currently browsing the Wofflings weblog archives for April, 2009.